Rare! Made by Bob Bradshaw. CAE Isolation Transformers are designed to help eliminate ground loop hum in complex guitar systems. 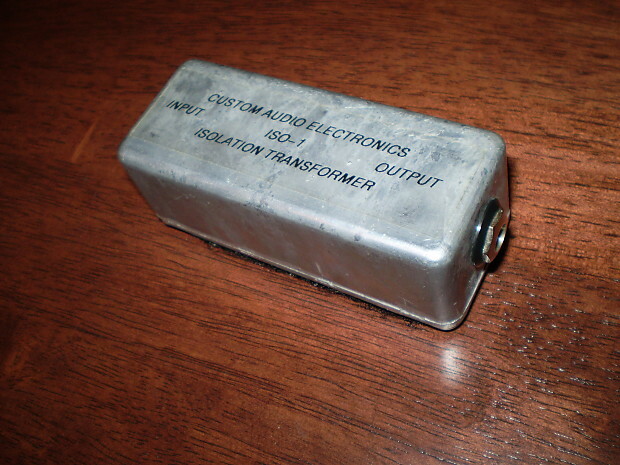 They are a passive device and require no power to operate. Any device connected to the Isolation Transformer's input must be able to drive a 7-10k ohm load, or a loss of high frequency may result. 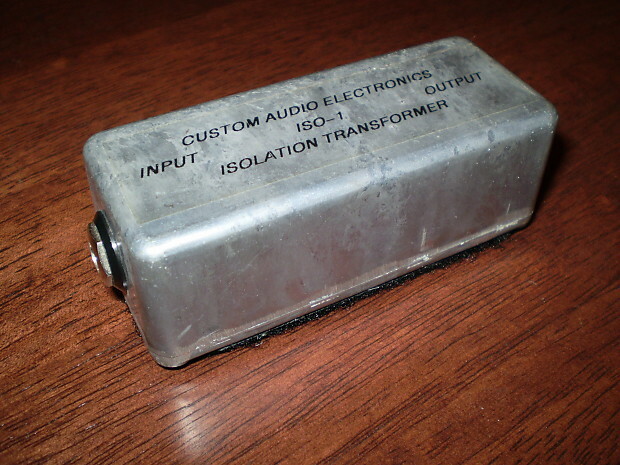 For best results, Isolation Transformers must be driven from a low impedance source, and connected directly to an amplifier's input. This means the ISO should be the last thing prior to an amp input, after any pedals or other devices. 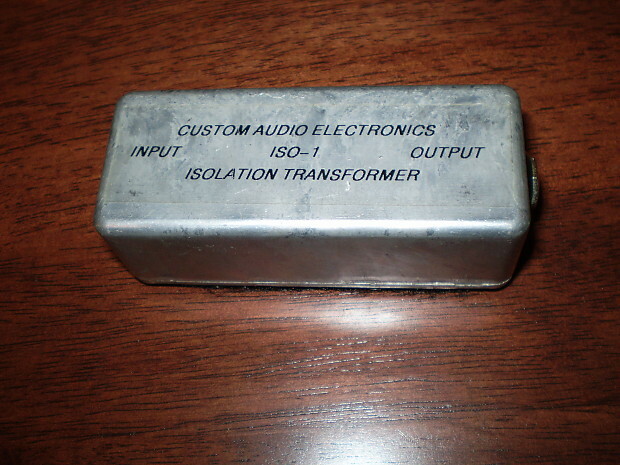 ISO's contain an audio transformer and must be kept at least twenty four inches from any power supplies or devices that may radiate a electromagnetic field, such as power amps or wall warts.